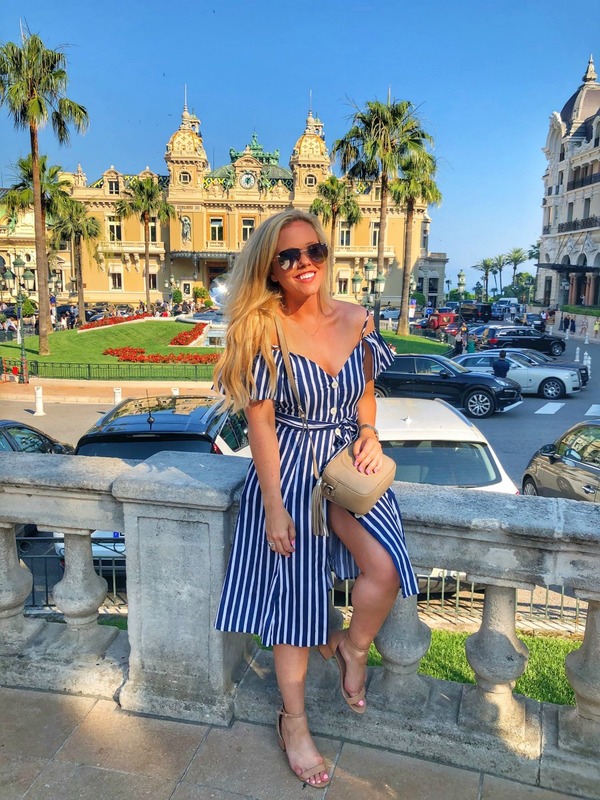 I am showing you a look today that I wore while exploring Monaco when we went to Europe earlier this summer! 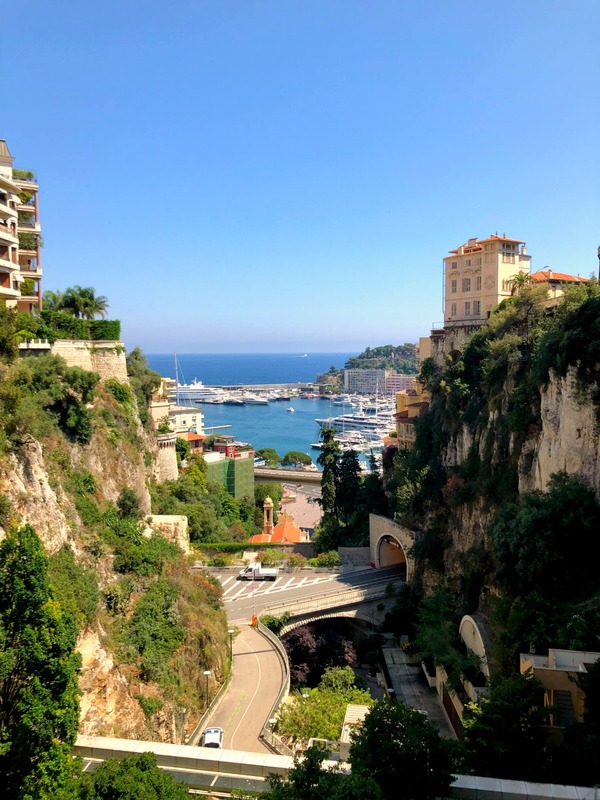 The country was absolutely magical and breathtaking (unfortunately we had a few bad experiences with the people though…sad face), but it was one of those places I am definitely glad I got to see and experience at least once. And this dress was the perfect outfit to explore in! It was light and had shorts underneath, making it perfect for the hot summer days and humidity by the sea. 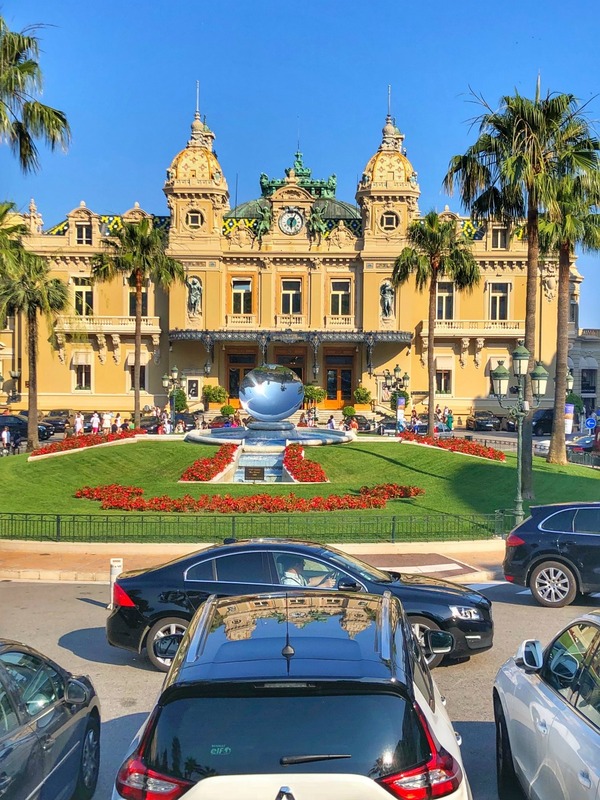 If you ever have a chance to go to Monaco, make sure to visit the port with all of the yachts in it, take a tour around the famous Casino, and definitely stroll down the Les Pavillions shopping center, to see all the amazing designer stores (pretty sure I felt like Pretty Woman on Rodeo Drive though, cause I really couldn’t afford anything there haha…but it never hurts to look and be inspired). What are you wearing linking up today for your free day? The summer season is ending and we are approaching those cooler fall months. 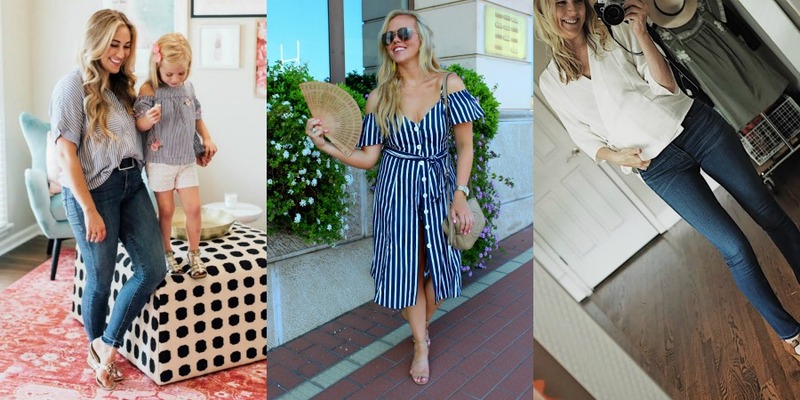 Next week for the dresses theme, show us what you have been wearing all summer, or get creative and show us what dresses are going to be best for the upcoming months! I mean, as much as I love summer, I can’t wait to start layering my jackets and scarves with some dresses and boots. Eeeek! Bloggers : All bloggers will be able to submit their post links via the inlinkz widget below every Tuesday at 12:00am CST with their take on our trend of the week. This will allow bloggers to show off their personal style, find new followers and meet some great fashionistas! You will also have the chance to be featured on our blogs the following Tuesday (if you make sure to link back to Laura and my blog) ! So grab the button and link up. 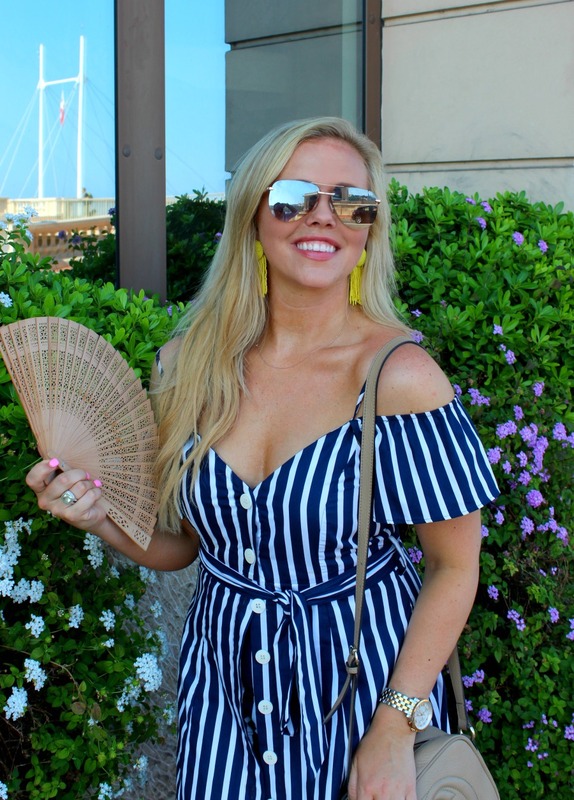 = ) For all bloggers we simply ask that you please follow your hosts – Walking in Memphis in High Heels, The Fashion Canvas and Emmy Lou Styles and provide a link to the Trend Spin Link-up in your post or add the button below to your blog. Don’t forget to stop by everyone’s blogs to see how they wore the trend today. Leave a comment on my blog, and also on at least 5 other blogs! 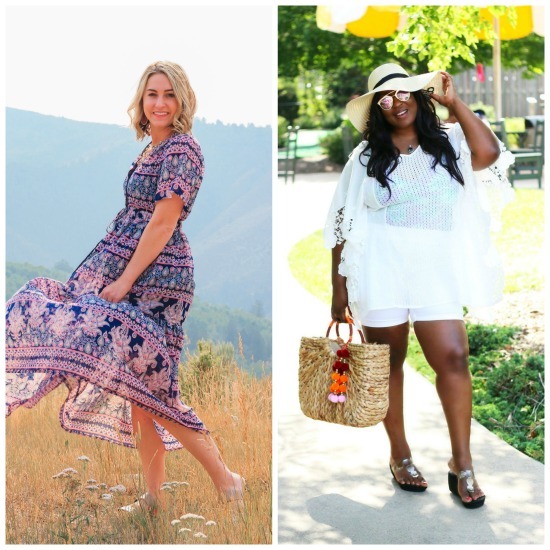 because we loved their Labor Day Looks from last week’s linkup! Shop Black And White Jumpsuit, Black Heel Booties, Flat Silver Shoes, White Sheath Dresses and more. Get this widget.